In some locations during some time periods, probate files may not mention all property owned by the deceased. This is more likely to be the case if the deceased owned real estate and did not mention it in his will or did not even leave a last will and testament. If you have good reason to believe the deceased owned real property on his or her death, search land records to determine what happened to the property. If there is a land record for the person’s property created after their death, it will not list them as the grantor–the heirs will be listed. 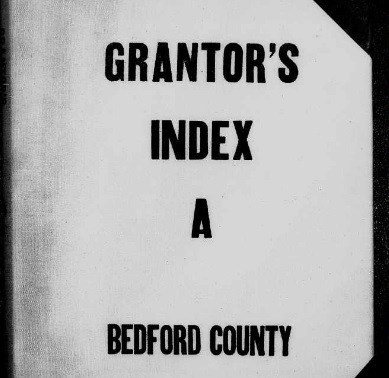 For this reason, search the grantor index for these records using all the names of the deceased’s heirs. 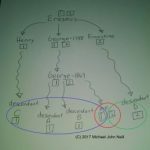 Deeds are usually only indexed in the grantor index once and any of the heirs could be the name under which the land record is indexed. Property tax records may also help in determining what happened to a deceased person’s real property. Of course, the probate is the first place to look, but don’t only look there. Never hurts. And if for some reason the property ended up in a “non-probate court” for some reason (estate being foreclosed upon) and an heir bought the property, that’s where it would get indexed.